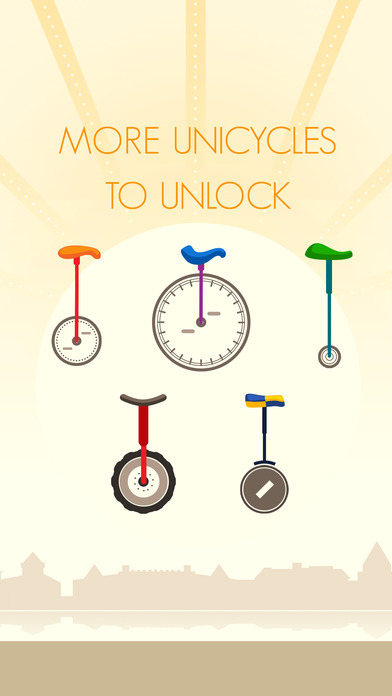 Can you remember back to the time when you first learned how to ride a bicycle? 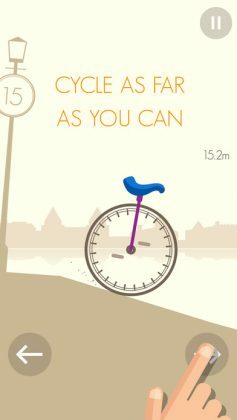 Captivated in an addictive trance, chances are you tried time after time to ride your brand new bike until finally you successfully managed to ride 1 meter…! 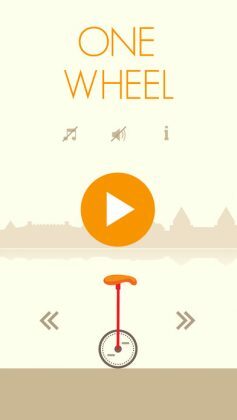 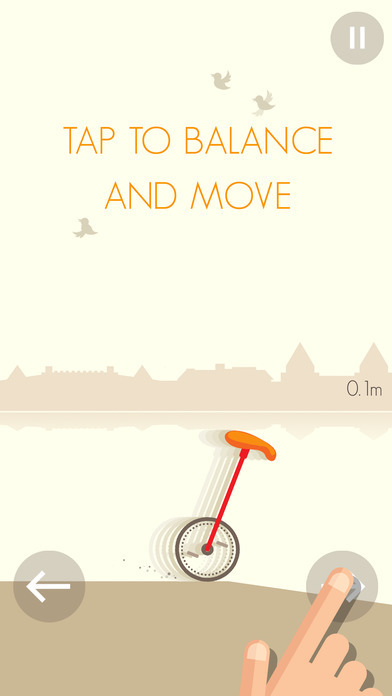 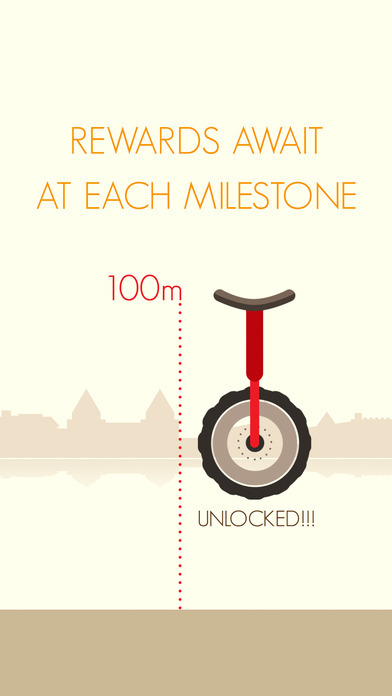 One Wheel is an extremely simple 2D physics based game about riding a unicycle for the first time ever! Set in a simple minimalist stage with gentle hills and slopes – the perfect place to learn how to ride a unicycle – your mission in this game is to ride as far as possible without falling over and GAME OVER.